Android application development market is booming and there is a great demand for developing applications for different purposes. Android being an open source provides a flexible platform to develop feature-rich apps. We provide services to develop quality Android apps at affordable cost. We can also handle the mobile phone's core functionalities such as making calls, SMS, camera etc to be accessed with the applications. The Android platform also has various other exclusive features and benefits which assist us to develop your apps matching to your business needs. Applications developed at Aplite Infosolution comes to you cost effectively with assurance for quality and performance. We give equal importance to both designing and development. You can rely on us for developing your apps quickly. Whether you are looking to build custom applications from the ground level or want to modify or enhance existing android programs, our developers are here to fulfill your requirements. Our Android App development team will meet all your expectations and will serve you the best.Android application development is an organized Platform for business application development and for creating gaming apps for mobile users with latest technology and features.We are now working with the latest technology versions of Android , i.e. 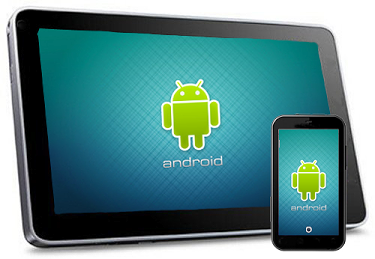 Android 2.1 SDK, Android 2.2, 2.3 and Android 4.0 and even prepared for its upcoming versions.